Do you want to add value and curb appeal to your home? The shutters Fort Mill residents are adding to the exterior of their home are producing many positive reactions! They have increased their property value, added amazing curb appeal and just look wonderful. Artisan Shutter has assisted Fort Mill residents will all their shutter preferences and needs. With twenty years of shutter experience, we are able to provide quality shutters at an affordable price. Our shutter technicians will do all the hard work for you as install the shutters for you. Artisan Shutter provides a wide selection of window shutter types. We can help you select the perfect color, material, design of window shutters for your home. 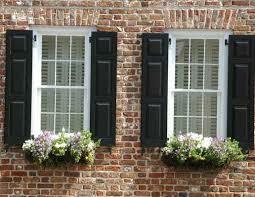 We have been the only window shutters company that Fort Mill residents have turned to. Call us today for a free consultation. For more information on the services that Artisan Shutter offers, click here.